The all-new GMC Yukon was designed to remain at the top of the class, and with the luxurious materials and intuitive design, it’s easy to see why the Yukon will continue to be there. The cozy interior of the GMC Yukon provides a relaxing seating style, wrapped in high-class materials. Entertainment was another primary focus of the Yukon's design, and with an 8-inch color touchscreen radio and available Apple CarPlay entertainment is a category where the Yukon excels. A real head turner of a vehicle, the Yukon is accented with chrome features and a soft rounded body style. This ensures that the GMC Yukon is sure to catch the eye of anyone it rides past. 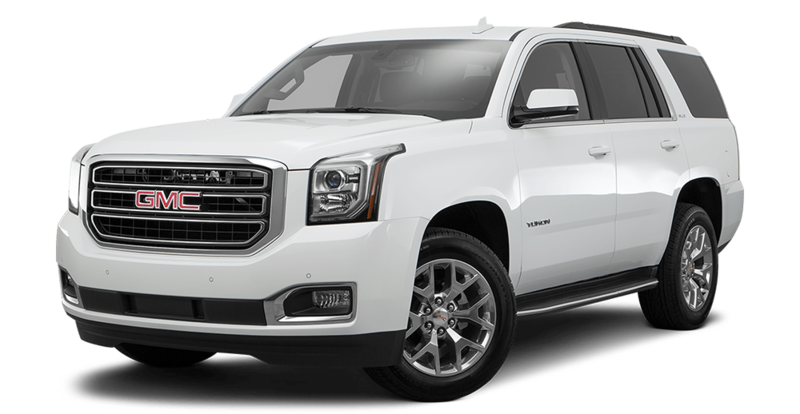 Implemented with an incredibly efficient Ecotec V8 engine producing 355 hp and 383 lb-ft of torque the Yukon stills boasts an efficient 16 city/23 hwy fuel economy. The GMC Yukon has proven time and time again why it is considered to be at the top of the SUV class, and the Yukon helps reaffirm that. With ten different colors available and two different trims, the Yukon can be personalized to your liking. The staff at Quirk Auto Dealers is dedicated and passionate. We have years of experience helping our customers have the best experience possible. No one knows the vehicles on our lot better than our incredible sales staff. Come into Quirk Buick GMC located in Manchester, NH today and schedule a test drive in the GMC Yukon! All prices/payments require 2010 or newer trade. 1st payment, acquisition, security deposit, tax, title, registration and document fees are additional. Prices include all compatible rebates and discounts that all may not qualify for. Programs subject to change without notice. Please note that vehicle photo may be different than stock # shown. Residency restrictions apply. $299 documentation fee not included in final price. See dealer for details. STK# G15650. Sale Ends 04-30-2019.